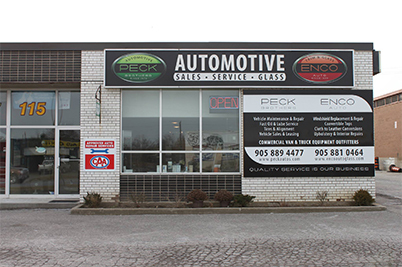 Appointment "Maintenance makes a difference"
Welcome to the Peck Brothers Automotive website! Not only is our objective to assure you that choosing us as your regular Thornhill auto repair shop and maintenance shop is the best choice for you, but to also to provide you with information to help you increase the worry free life of your vehicle and make your Thornhill auto repair experience as enjoyable as possible. Thornhill Auto Repair | Make The Right Choice - Choose Peck Brothers For Continued Trouble-Free Driving! a vehicle to pull to one side..
changing engine oil based on..
car works to keep your engine from..
your "check engine" light might come on..
can help keep your vehicle..